Leaving the underground fight game can be hard, and in the realm of cinema, downright fatal. Many films have gone with this premise, but Forced to Fight takes a slightly different approach. Gary Daniels stars as Shane Slavin, a hard-working man, devoted husband and father, and all around good guy. He had once been a fighter in a series of underground matches put on by the slimy Danny G (Weller), an opportunist who looks for any way he can to make a buck. Shane had gotten out and retired, but his troublemaker brother gets in too deep with Danny, and tries to get out, and after a brutal beating Shane decides to help his brother by returning to the ring and fight for Danny G. Things get complicated, as they always do, when Shane finds that the mentality that makes him a good fighter makes him a poor family man, and a series of mistakes places his family in danger. Can Shane become the good man he once was before it’s too late? I have to give Jonas Quastel props for a well-made film despite a low budget. The camerawork is well done, and the pacing is spot on. The turn the story takes is something different from the norm and I was happy to see Gary Daniels able to “flip the switch” from being the family man to becoming a devil-may-care fighter who is drunk on winning, and taking a beating. I was invested with his character early enough to care what happened to both him and his family. Alexandra Weaver and Arkie Reese also do a good job with playing Shane’s wife and brother, respectively. 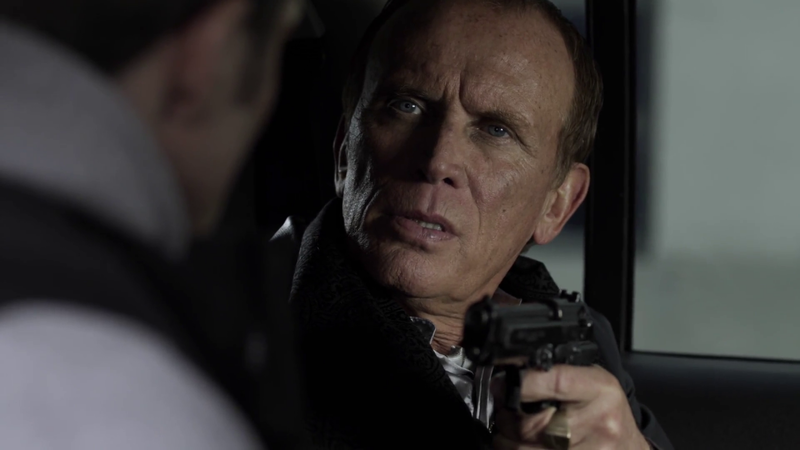 This is the first time I’ve seen Peter Weller (outside of 24) play a villain, and he is just great and charismatic as Danny G. He plays the slime ball in just the right way without going too over the top. The fight scenes are well done, but I would’ve liked to see the camera step back a little so we can discern the action more. The fight scenes are, of course, choreographed for mixed martial arts, which, for those who read this site, I am not a fan of on film, but it looked good, even though I wasn’t as impressed as I wanted to be. The ending seemed a little too clean in how things end in regards to what had happened in the rest of the film, and I’m still debating whether Shane truly deserved the clean ending he got, despite what happens at the climax. A martial arts tournament film that actually has a good family drama at its center that give weight to the MMA action, and Peter Weller totally rocks it, and makes an excellent foil for Gary Daniels! Previous Kiai-Kick’s Q & A with Gary Daniels!